HG has thrust me into the deepest, darkest valley thus far in my faith journey. During my darkest moments – when I was on IV treatment during my first and second trimester – I became angry with the Lord for allowing me to suffer HG for the 2nd time. I was beyond furious that the vomiting was lasting much longer this time. I was enraged about being robbed of my relationship with my daughter for the two, long months I underwent IV treatment. Bitterness and resentment festered in my heart. I found myself asking the question that probably every HG sufferer demands to know the answer to – “Why?” and “Why me, Lord?” Why is it that out of all the women out there in the world, only 1-2 percent of pregnant women suffer from HG and why did that 1 percent have to include me? I was jealous of “fluffy” pregnancies – women who sailed through their pregnancies without one bout of nausea! I could understand going through HG once (maybe!) but twice?! And it being even worse the second time?! I didn’t understand the purpose of all this torment. It made no sense to me. Why suffer for eight months? My suffering seemed to be more of a curse than anything. It caused so much upheaval not only in my own life – but it negatively impacted my marriage, my daughter, and my parents who ended up taking on the burden of caring for Annelise. I knew that the ultimate purpose of my life was to love God and to love others but how do you expect that from someone who’s in bed all day, throwing up around the clock, starving, dehydrated and nauseous 24/7? I could barely get out of bed some days – loving God and loving others seemed like the most impossible and onerous task to me. I often wanted to simply die because I did not understand what the purpose of living was if I couldn’t even eat normally! I’m not sure how many sleepless nights I stayed up due to the nagging nausea, pondering these questions, arguing with God, and simply sobbing out of frustration and deep disappointment. Somehow, the Lord kept me semi-sane through the thick of it and I was able to stop the IV treatment and began to keep liquids down on my own and I eventually started the lengthy process of training my body to eat again. I’m thankful that the Lord kept the baby safe and that the Lord protected me from Satan’s beckoning to terminate the pregnancy to escape the nausea. Numerous women who have suffered HG have terminated their pregnancies and lived to bitterly regret it. It truly is a spiritual battle. I began to read the book of Job for inspiration. I could easily identify with Job and his suffering. He questioned God many, many times throughout his suffering and I could relate to that as well. It seems that the purpose of Job’s suffering was to test his faith in the Lord. Satan teased God and said that the only reason Job was so faithful to God was because he was prosperous and doing well in life. Yet God was confident that even if Job lost his family, his wealth, his friends, and even his own health, that Job would stand firm in his faith! Perhaps this is a test of faith for me? It’s easy to praise God when you feel good and when you’re experiencing success in the world. It’s not so easy and sometimes feels impossible to praise God when you’re suffering. And yet, this is what the Lord is calling me to do. I don’t think I’m quite out of the valley yet but my good Shepherd has been slowly leading me out of the darkness into His marvelous light. I know He wants me to heal from the emotional trauma of HG and that He wants me to lie in green pastures and be restored in Him. Our health is something we easily take for granted. But my body is not my own. It is the Lord’s. He gives and He takes away. Danny said that perhaps the Lord wants me to learn to fully depend on Him regarding my health. Despite all the emotional battle scars I have, I cannot deny the goodness of the Lord. I still do not quite understand the “why” of it all, but I can say with confidence that in my darkest moments, He lifted me up with His word, with many people’s prayers, and many people of faith encouraging me to not give up. I long for heaven with a new-found hunger. And lastly, I believe that the Lord allowed me to go through HG in order to mold me into Christlikeness which is our greatest purpose in life. I’m 31 weeks and I’m just so tired…tired of the unending nausea. It seems to have gotten worse this week. I’ve been more constipated (maybe it’s a 3rd trimester thing?) which probably makes the nausea worse. I feel so gross. I’m tired of being stuck at home and not being able to go out regularly. I’m tired of being dependent on everyone. I’m tired of the nerve pain in my leg and major pelvic pressure. I wanted to go see the acupuncturist today for the nerve pain but I was so nauseous…I decided not to go after all! That’s when I realized the nausea is worse than the pain. I’m tired of waiting for the baby to come. I’m tired of people not understanding HG fully. I’m tired of being a halfhearted mommy to my 15 month old. I’ve been feeling down all day today due to the nausea. By the end of the day, the fatigue was taking its toll on me. I broke down and started crying…but I couldn’t wallow in self-pity for too long because Annelise brought me a book and asked me to read to her. I wondered if she noticed that mommy had been crying. She didn’t seem to notice thankfully. I read to her…in between broken sobs. And then she wanted me to read the book again. So I did, even though I just wanted to cry. I decided to email Beyond Morning Sickness, a nonprofit organization dedicated to supporting women suffering from HG. 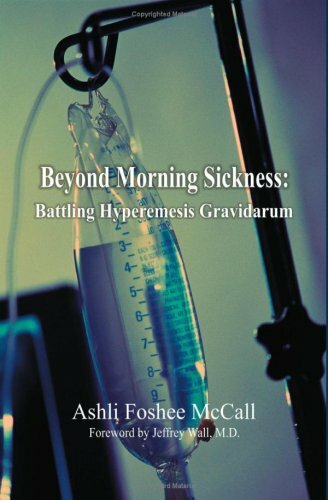 Ashli Foshee McCall, the founder of this organization, wrote a book about her HG experience, “Beyond Morning Sickness”; she chronicles her horrific battle with HG which ended in termination of her pregnancy. The book also contains valuable information about hyperemesis as well as a comprehensive treatment plan for HG. “Mimi, you are more than welcome! Thank you for your wishes for Ashli. And thank you for doing so much for your baby. YOU are an example of what true generosity is. It’s easy for me to ship out a few books — but the sacrifice you are making is simply astonishing. You have endured the horrendous suffering that HG brings for another human being who you have never met, and who may not even have a name. The few minutes and few dollars I spend for you are nothing compared to what you are doing for your family and your baby. I was so touched by this email! It is nice to know that someone truly understands what I’m going through. I’m really looking forward to reading these books. If you or anyone is suffering from HG right now, please contact Beyond Morning Sickness! When I was in the midst of the worst state of HG during my first and second trimesters, it was a very dark and scary time not only physically but even more so emotionally/spiritually. I think when your body is going through hell and when your life is on the line, inevitably your thoughts turn very bleak. My mind was clouded with this fog of overwhelming nausea that I couldn’t escape. I couldn’t think or concentrate. I couldn’t read anything. Any movement or motion would trigger a vomiting episode. So I slept a lot or stayed in bed. I watched a lot of TV to try to take my mind off of the nausea. I was on daily IV treatment at home. My life was dependent on this contraption attached to my arm. I had to push the IV pole everywhere I went…and the only places I went were the bathroom, my room, and the living room. I was bed-ridden for almost three months. The isolation, loneliness, dehydration, constant vomiting and nausea, and starvation really start to eat away at your soul. HG strips away all semblance of a normal life. I couldn’t eat. I couldn’t sleep at night because of the nausea. I couldn’t go out because I was attached to the IV and was too weak. I couldn’t take a shower because the heat from the water would trigger my nausea. I didn’t feel human. I felt like a shell of a person…like an animal barely surviving. It felt like I was on the brink of utter insanity. Every week, I would hope that I would feel better and every week, I wouldn’t feel better. With my first HG pregnancy, I felt so much better after my first trimester so I expected the same relief at the end of the first trimester with this pregnancy. So when it didn’t come and I was still throwing up and still not gaining weight, it felt absolutely hopeless. It felt like I was on this long, dark path with no end in sight and no relief from the nausea. Every meal I threw up felt like a slap on my face. Every time I weighed myself on the scale, I would get frustrated at the low number. Depression and anger stewed in my heart. I had fleeting thoughts of death. A lot of death fantasies. I would tell Danny – “Just shoot me. Just kill me now.” Pain sounded better than nausea. Death sounded better than nausea. Anything seemed better than nausea! I wanted to die every day just to escape the never-ending nausea. So many women who experience hyperemesis battle depression on top of the physical disease. Many women with HG contemplate terminating the pregnancy to end the battle with nausea. Some women actually follow through with the termination. 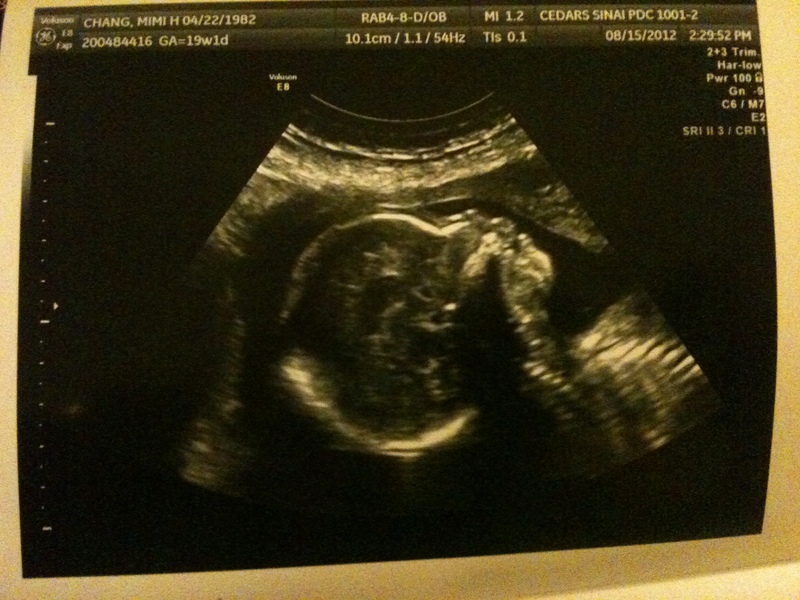 Every minute of the day, I was tempted to terminate the pregnancy. But somehow I couldn’t. I had to focus on the end goal. That it would be worth it in the end when we have our little baby girl. I had to fight every instinct to die, give up, or to terminate the pregnancy. It was a daily battle. I clung to the fact that my suffering had to have some meaning, right? I read stories of women with HG who were actually recommended by their doctor to terminate the pregnancy because their symptoms were so severe that if they didn’t terminate, their own life would be in danger. I cannot fathom the thought of being forced to make that choice. I also read stories of women with HG who miscarried even in their third trimester. I can’t imagine suffering HG for that long only to have your baby taken away from you. 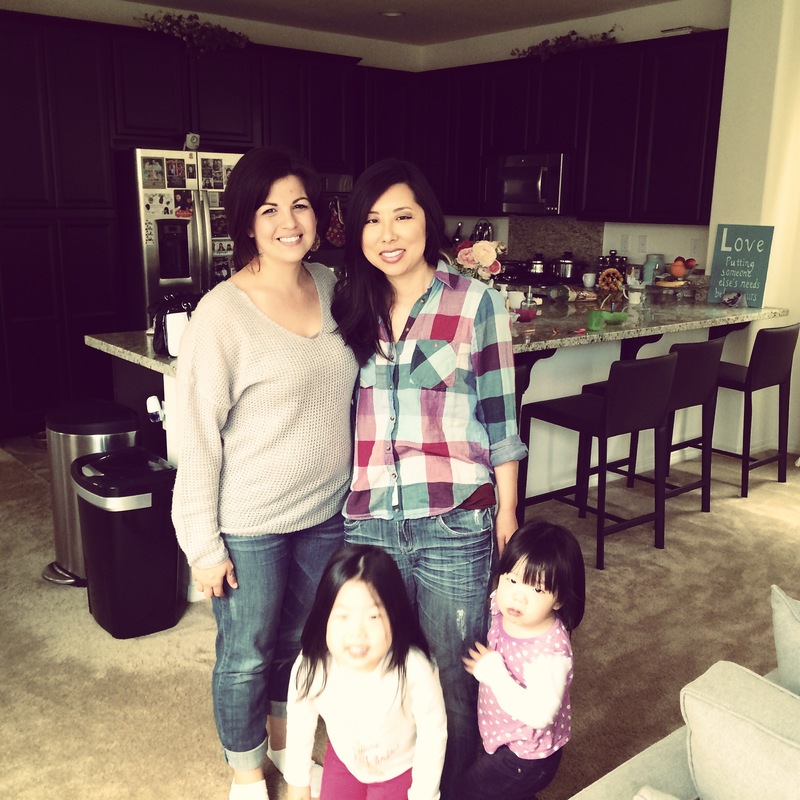 So I was thankful – thankful that despite how miserable I felt, my baby was alive and well. And I was also grateful that Annelise survived an HG pregnancy and is so healthy today. I’m also reminded of what Marilla Cuthbert would say to Anne Shirley when she was going through the “depths of despair” – “To despair is to turn your back on God.” Somehow by God’s grace, I survived my first and second trimester. Now that I’m able to eat regularly most of the time, a daily challenge I face is this peculiar dilemma that HG poses. I can get super hungry due to the pregnancy but I’m also quite nauseous at the same time. So what do you do when you feel famished but nauseous at the same time? The two very conflicting feelings warring inside my stomach drive me insane. Sometimes I just want to scream at my body, “What do you want me to do? !” Some people say their nausea gets better when they eat…but for me, it seems like the only time I don’t feel the nausea is when I’m eating. After I’m done eating, I just feel full and even more nauseous than before! I really can’t figure out what’s worse – feeling super hungry/nauseous or full/gross/nauseous! There’s just no escape from the nausea with HG. This perpetual mild-grade nausea lends itself to a sort of perpetual mild-grade depression. Because I feel icky/gross/queasy all the time, I tend to be irritable and sad much of the time. What keeps me going is the light at the end of this very long tunnel…my baby girl number two. Today I really wanted to go to the beach. I’ve wanted to go to the beach all summer actually but every time I wanted to go, I got sick. So this morning when I felt a little nauseous, I ignored it and pushed myself and decided to go anyway. 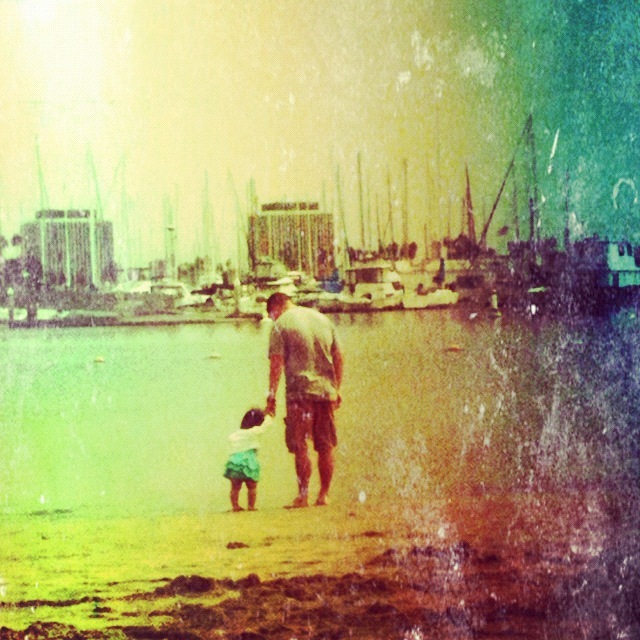 It would be Lisi’s first time at the beach so I was determined to go no matter what! And also because I was getting sick of being at home all the time. On the way there, I got car sick of course. I forgot my Ziploc barf bag that I carry everywhere so I made a cup with my hands and threw up into my hands. It was disgusting! This is the 2nd time this week I’ve thrown up…it makes me so sad that I’m still throwing up at 26 weeks. I’ve wanted to return to a semblance of normalcy but it doesn’t look like that will be happening till the day I deliver. On a positive note, Annelise did have fun at the beach – she liked playing with the sand and would giggle when the sand tickled her feet and hands. Glimpses of happiness are few and far in between but I’m thankful for my daughter who makes me smile even in the gloomiest of days.